POD Architects are delighted to share the new construction images of the Food & Beverage units at the front of Eastgate Shopping Centre. 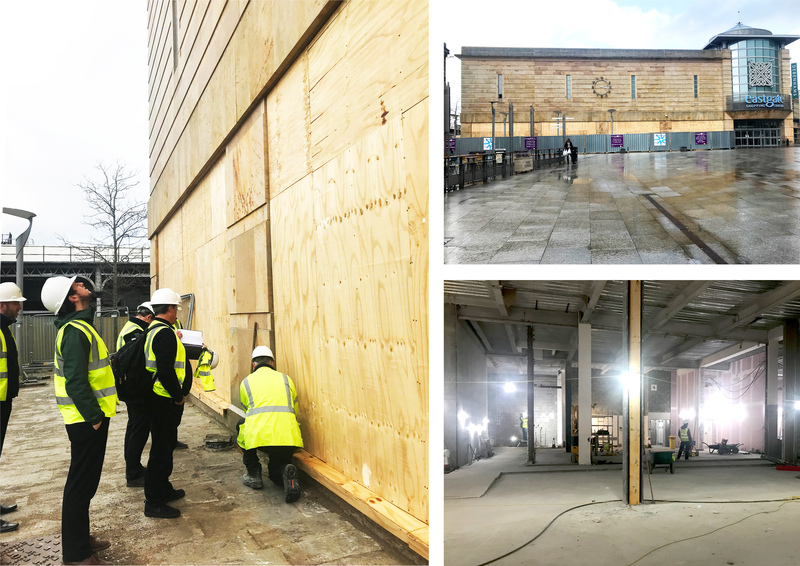 POD traveled up to Scotland to inspect construction works for their proposal of the shell of four new restaurants on the ground floor in the heart of Inverness. The site visit started with a design team meeting and followed up with a detailed inspection of all works. POD’s attention to detail together with the monitored strategic conversations with the contractors led to a successful assessment. The project is currently moving forward at pace, aiming to create a new active frontage for Falcon Square and contribute to the public realm of the surrounding area. POD leads the Caterham revival with 22 new retail units; 178 apartments; 3 screen cinema; expanded parking provision and high-quality public realm. Pod submitted planning proposals for the regeneration of the Church Walk Shopping Centre and surroundings. For the last two years, Pod and its consultant team have worked closely with the client and Tandridge District Council to bring about proposals that will form a cornerstone of the Caterham Town Centre Masterplan. The 22 retail units; 178 studio, 1 and 2-bed private rental sector apartments with associated concierge, workspaces, lounges and parking; 3 screen boutique cinema; enhanced public realm and expanded town centre parking will herald the revival of Caterham as an important local centre. This project continues Pod tradition of reviving the UK High St through bold interventions into aging shopping centres. We are honoured to be declared winner of the competition for an innovative scheme in Watford. Following a four­week competition bid, POD have been crowned the winner for housing site as part of Watford Health campus Masterplan for KIER Group and Watford Borough Council. Over the past half year, POD Architects has entered the world of Building Information Modelling (BIM) and Virtual reality. Pod Architects are changing the way we present our projects and turning this process into a simple, intuitive and interactive experience. To achieve this goal we have entered the world of Building Information Modelling (BIM), combining the latest Autodesk software with the newest technologies. The idea is to turn conventional static’ drawings into a fully navigable model that incorporates design information as well as existing conditions collected via drone scans. POD Architects has submitted a planning application for 39 high quality residential apartments, 3 Houses and a micro-pub in Margate. In 1926 the Olde Charles was built as a mock-tudor Public House. When built, the area was mainly fields with a seaside view. In 2016 the Public House, which had been closed and had suffered a serious fire. Now, POD Architects has proposed a new set of residential spaces with a community facility at the corner of Holly Lane and Northdown Road. 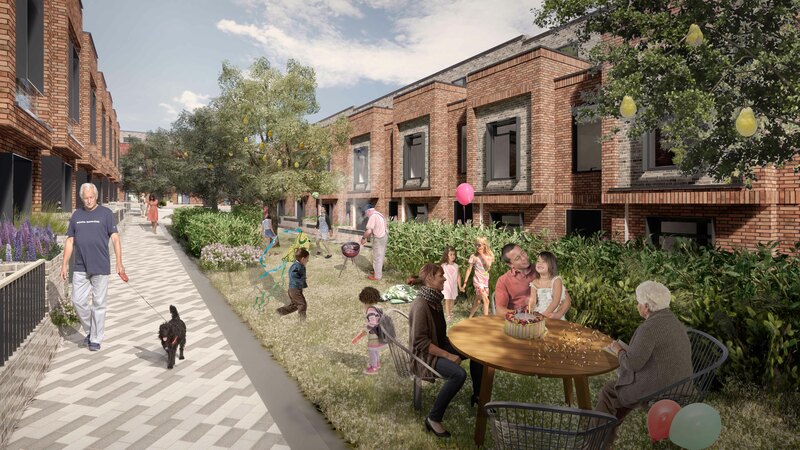 The proposal provides quality place making on a prominent brownfield urban site, creating a modern replacement use for the former fire damaged public house. Last Friday, POD Architects embarked upon an adventure overseas. We began our tour by foot of some of the Architectural sites Paris has to offer. Perhaps the most scintillating stops of the tour were the new urban Rive Gauche development, hosted by Jusik and Robert; Oscar Niemeyer’s fascinating headquarters for the French Communist Party, presented by Camila; and finally our Parisian adventure drew to a close with an afternoon of oysters, wine and escargot at the impossibly chic Brasserie Molla rd. As we bid Paris adieu, the team felt a new found appreciation for French design, snails, and the Siene.